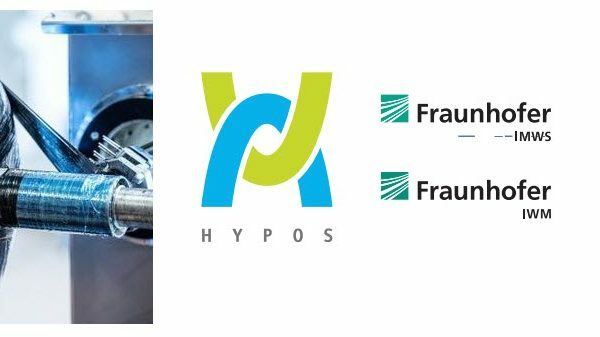 Solid oxide fuel cells (SOFCs) have attracted much attention due to their potential of providing an efficient, fuel flexible, low emission and relatively low cost means of producing electricity. The nation’s first SOFC-based power generation system will be soon installed on UNIST campus. On December 5, UNIST signed an industry-academia cooperation agreement with MiCo Co., Ltd. for the successful commercialization of SOFC technology. Under the agreement, Mico will help install 2kW class SOFC power generation module at Science Cabin without compensation. 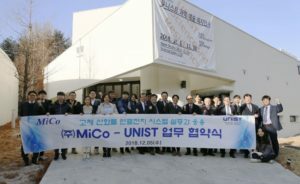 With this facility in center, MiCo Co., Ltd. and Professor Guntae Kim in the School of Energy and Chemical Engineering at UNIST will carry out joint research activities targeted on developing technologies to promote practical applications of SOFCs. 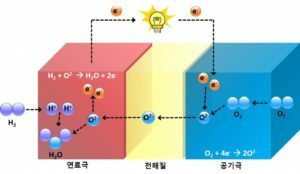 The power supply line necessary for the operation will be provided Kyungdong City Gas Co., Ltd.
A solid oxide fuel cell (SOFC) is an electrochemical conversion device that produces electricity by oxidizing a fuel. 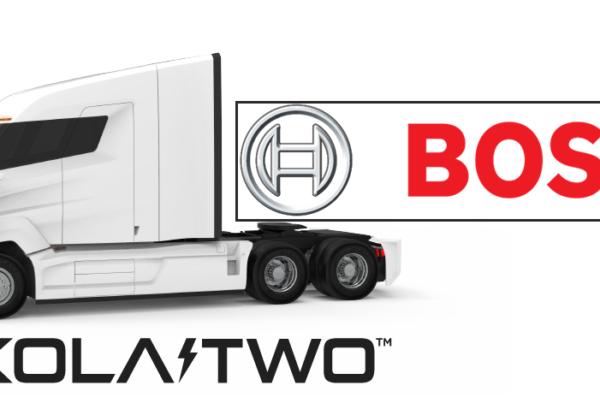 It is still subject to a fairly intense development for its unforgettable competitive benefits of long-term stability, a high fuel flexibility, low emissions, as well as relatively low cost. SOFCs are a possible next generation fuel cells, as they are capable of raising efficiency higher than 90% when using the exhaust heat. SOFCs use solid oxides, such as zirconium oxide and ceria as electrolytes and generate electricity by chemically reacting with oxygen in the air using hydrogen as a fuel. 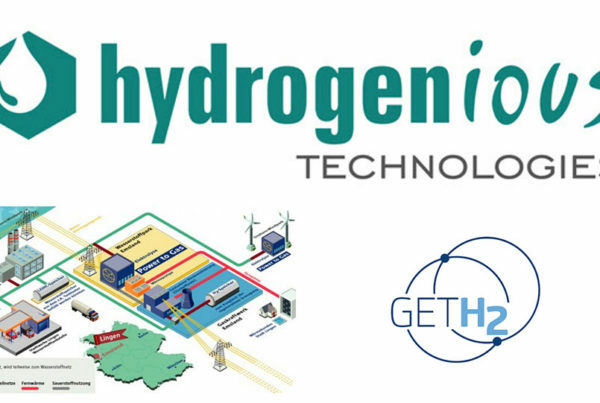 A fuel cell composed of two electrodes (anode and cathode) generates electricity, water, and heat through the electrochemical reaction when oxygen in the air passes through the cathode and hydrogen passes through the anode. In 2015, Professor Kim and his research team introduced a highly efficient and stable electrode material for SOFC, using natural gas. Although this technology has been evaluated to have greatly accelerated the industrialization of SOFC, the actual implementation has been difficult. Through this partnership, Professor Kim plans to apply their SOFC technology to the new facility and concentrate further in the acceleration of the commercialization of the technology. The SOFC system to be installed in Science Cabin will be used to produce electricity from the bioenergy produced in the building. 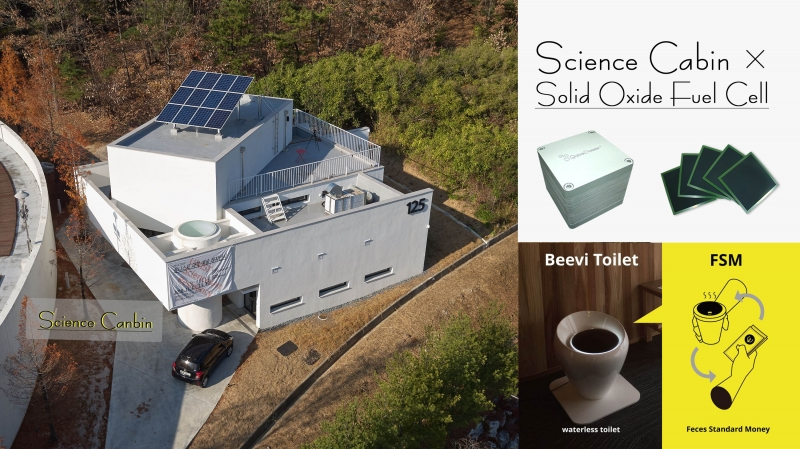 Science Cabin is a science + arts convergence research center that boasts a system, capable of converting human feces into energy. The building currently can accommodate up to three people. To sum up, this is a resource recycling system, capable of converting ‘human feces’ into ‘biogas’, then to electricity via SOFC. The signing ceremony of MoU between UNIST and MiCo Co., Ltd. was held in the library of UNIST on December 5, 2018. Meanwhile, the signing ceremony of MoU between UNIST and MiCo Co., Ltd. was held in the library of UNIST. The ceremony has been followed by a technical seminar on SOFC and Science Cabin. In this seminar, MiCo Co., Ltd. gave a brief introduction to its SOFC technology. UNIST also provided a detailed description of biogas production process from Science Cabin, as well as the development of carbon capture and conversion technologies.